W. 2nd Pl. & Quaker St.
9. 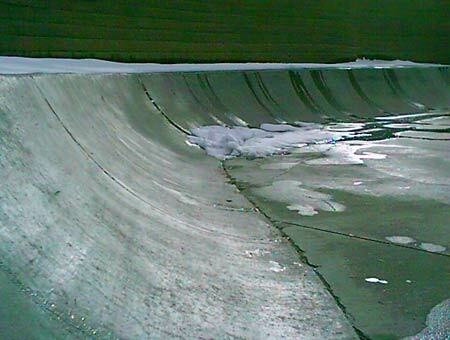 Concrete bank. 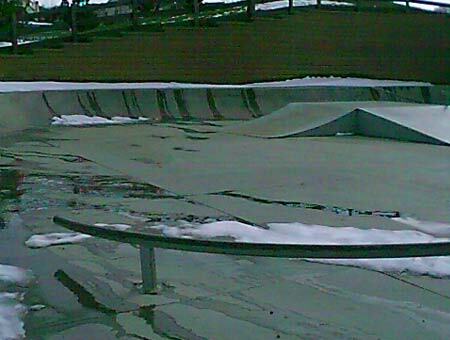 Lots more fun without the melting snow. 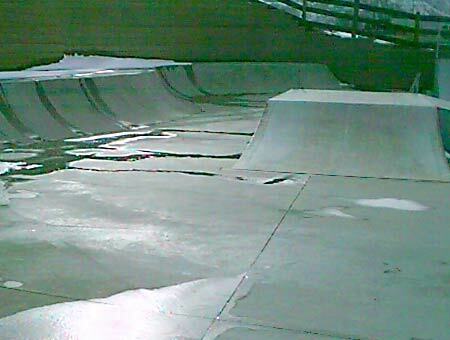 Golden Heights Skatepark includes a concrete bank, rail, funbox, 4ft. 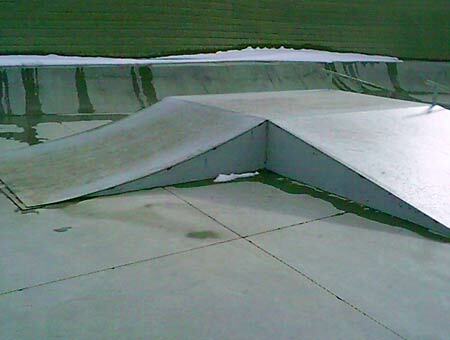 quarterpipe, and a banked fly box with rails. 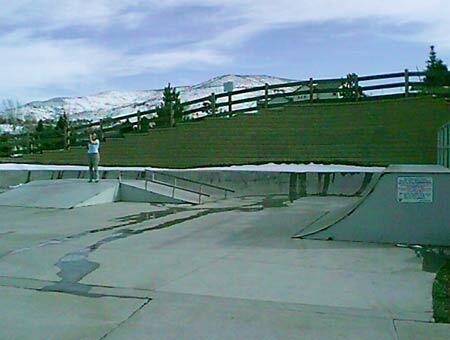 The concrete bank snakes along the south side of this small neighborhood skatepark and is a nice addition to the metal skateboarding obstacles. 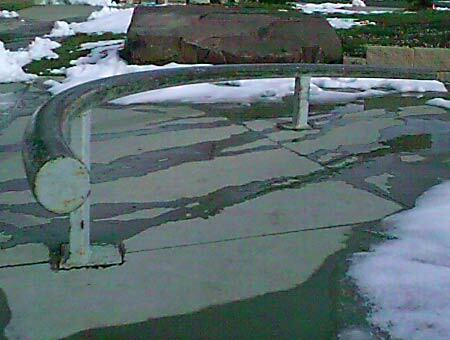 The round rail is curved and one end is higher than the other for keeping speed on boardslides or grinds. 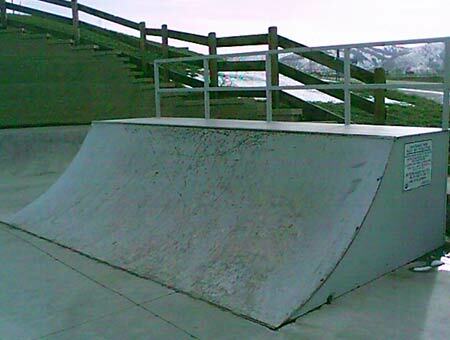 The two funboxes help make this skatepark enjoyable and provide local skateboarders with many afternoons of fun. 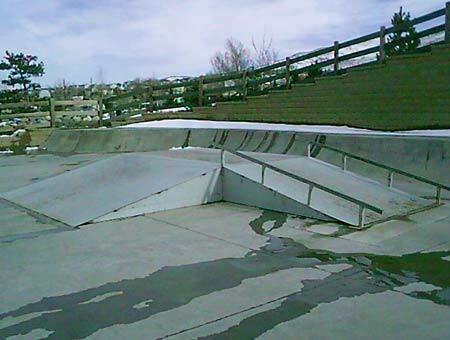 Any pipe or ramp requires the use of a safety helmet and pads. 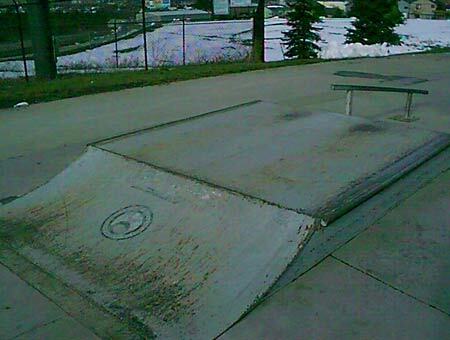 Do not enter a ramp or pipe until it is clear of other users. Any person violating these rules will be asked to leave.